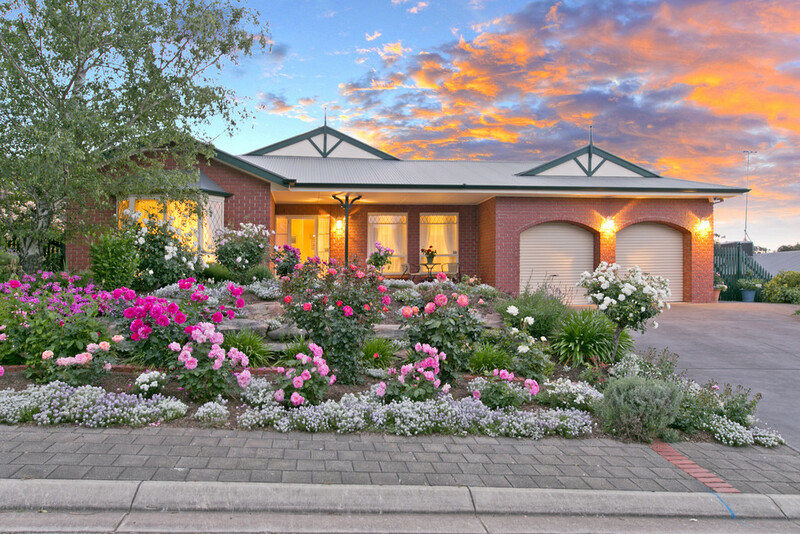 Perfectly located in a quiet cul-de-sac within walking distance of most amenities this grand family home offers a covetable lifestyle, ideal for the family looking for a relaxed living environment and great for those who like to entertain at home. 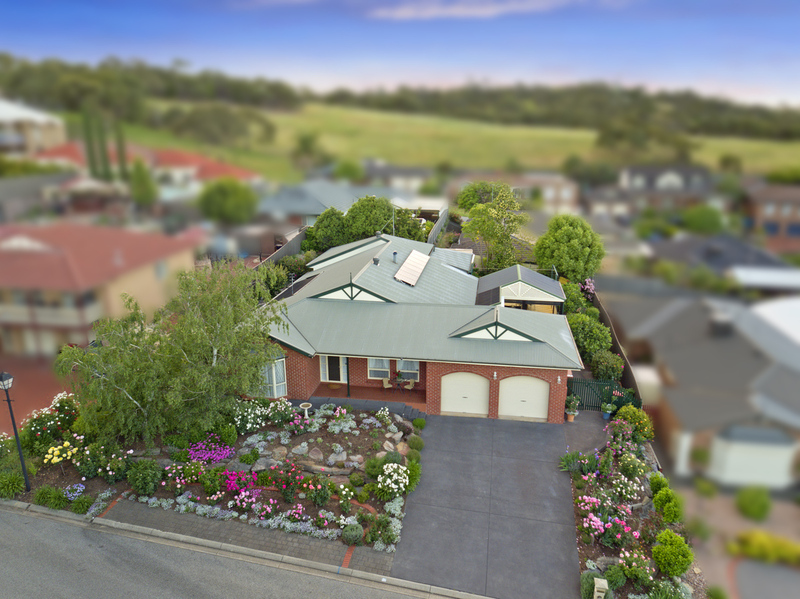 Built in 1993 by Galaxy Homes, this immaculate home boasts up to 4 bedrooms, 4 living areas plus outdoor entertaining, 2 bathrooms plus a double garage, all sited on a fully landscaped and retained 800m2 allotment with views over Cobbler Creek Reserve and beyond. 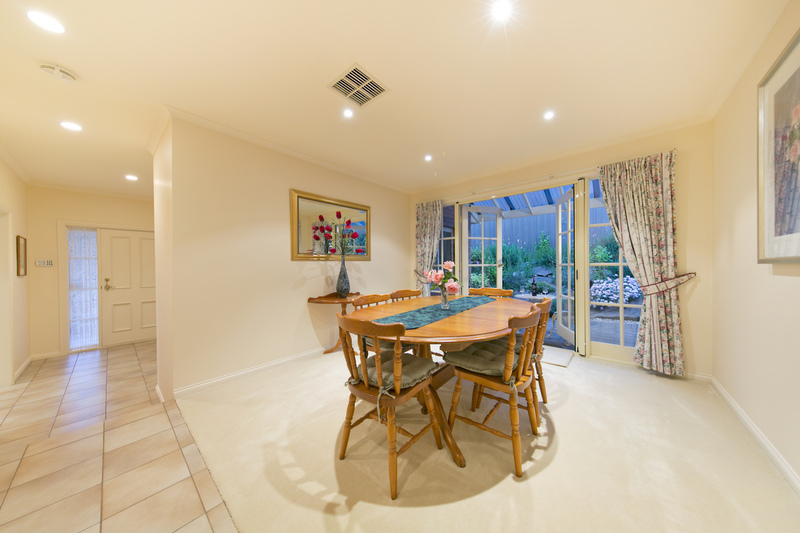 A clever floorplan design offers a semi open plan layout. 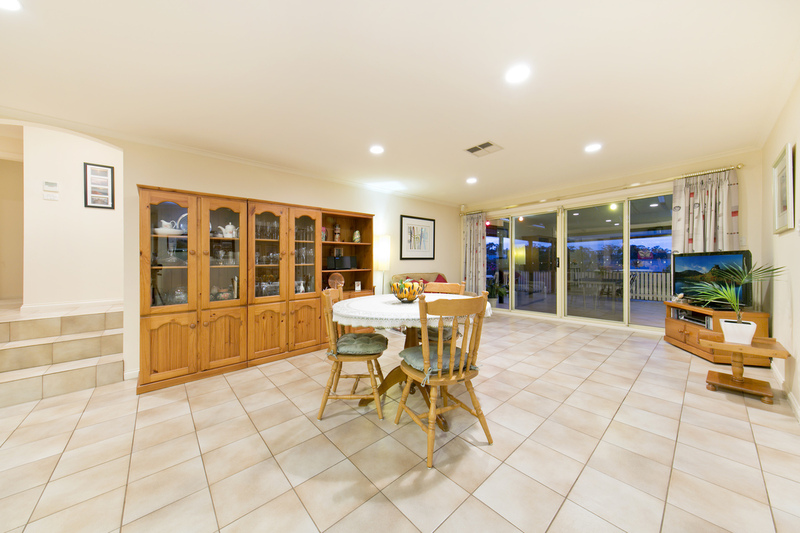 A central tiled hallway greets us upon entering the home, offering a formal lounge, perfect for receiving guests, then leading to a formal dining room, ideal for dinner parties or family occasions, with French doors opening to one of the many private outdoor areas. 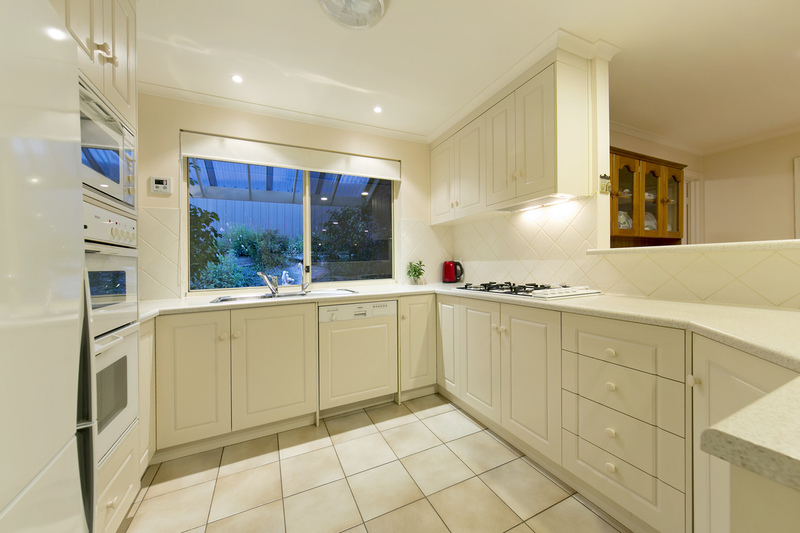 A corner kitchen overlooks the first of the casual living areas. 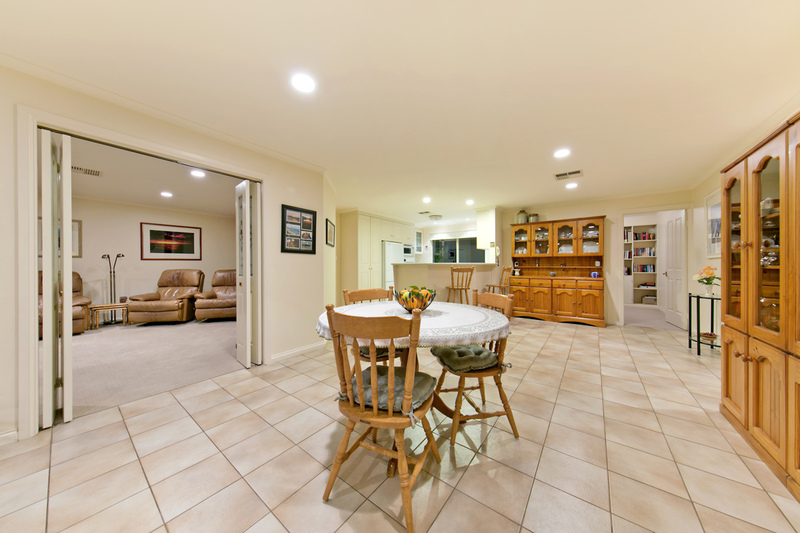 Crisp cabinetry blends with Bosch appliances, 2 ovens plus microwave, 5 burner gas hotplate, dishwasher, pantry cupboard and raised breakfast bar to create a pleasant cooking environment, with views over a huge family / meals area and through to a pergola beyond. 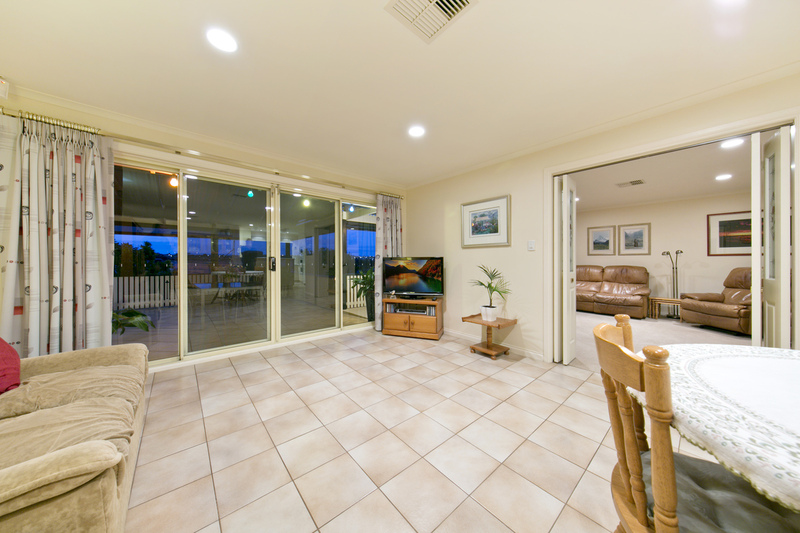 Dual sliding glass doors create a seamless transition from indoor to outdoor casual living zones. 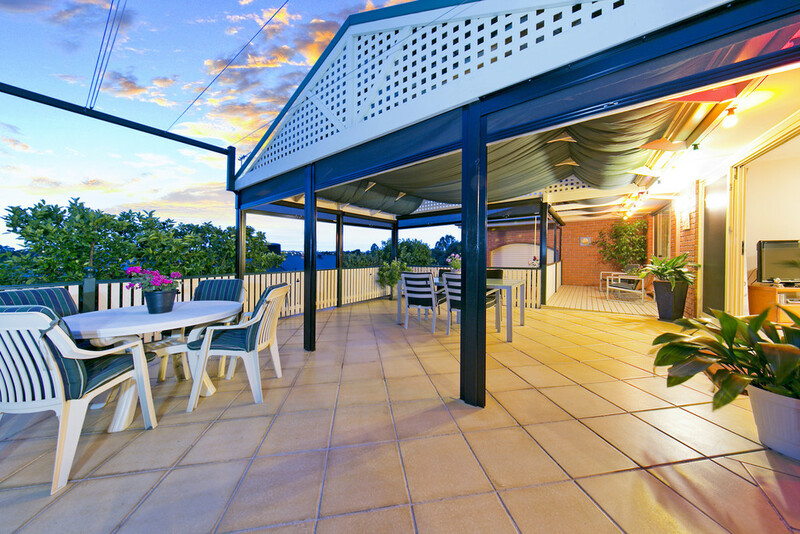 A retractable shade sail directly adjacent a gabled pergola expands the already spacious outdoor living area. 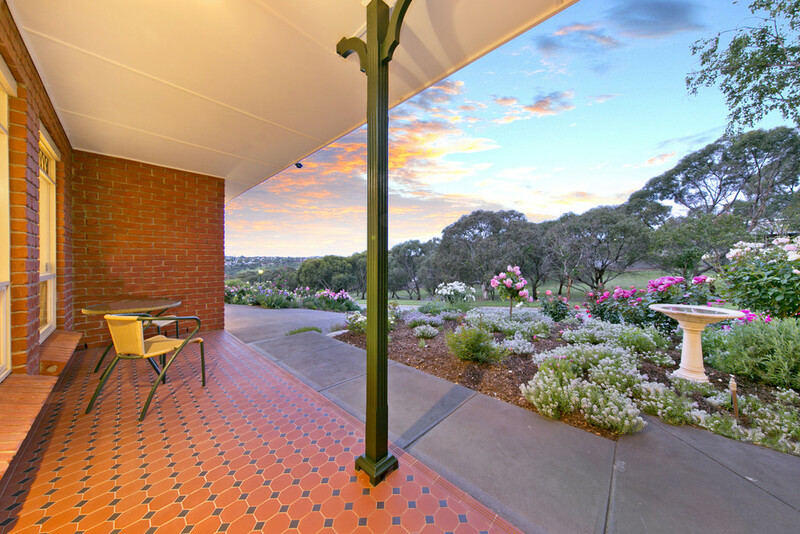 Caf blinds to all sides of the pergola enables year round outdoor living. A pristine lawned area gives the children a place to play, framed by verdant established gardens with mature trees and plants. 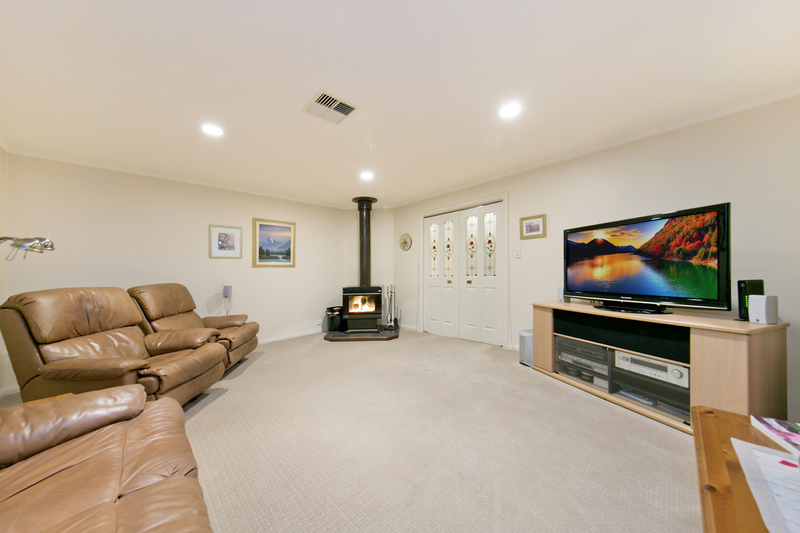 A large casual lounge with combustion heater adds another living zone, perfectly framed with views. 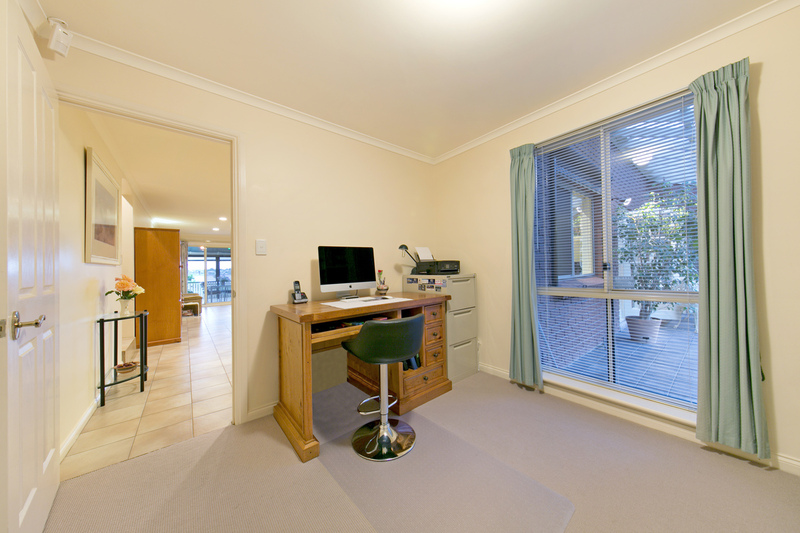 There are 4 bedrooms, or 3 plus study, depending on individual requirements. 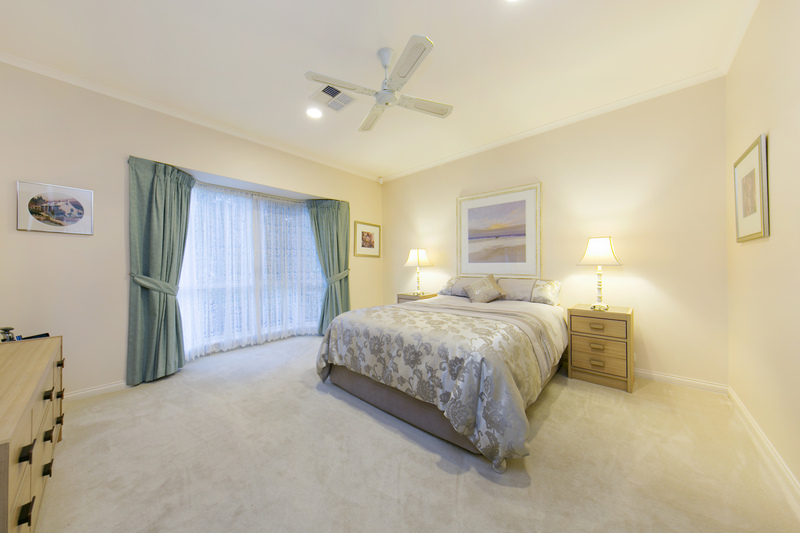 The large master bedroom has a ceiling fan, a walk in robe and a full ensuite. 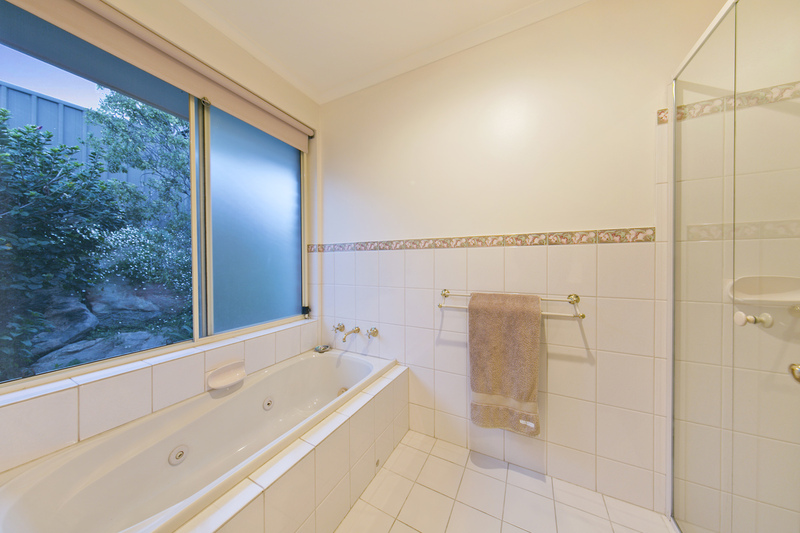 A bay window with security screen affords a pleasant view over Cobbler Creek reserve. 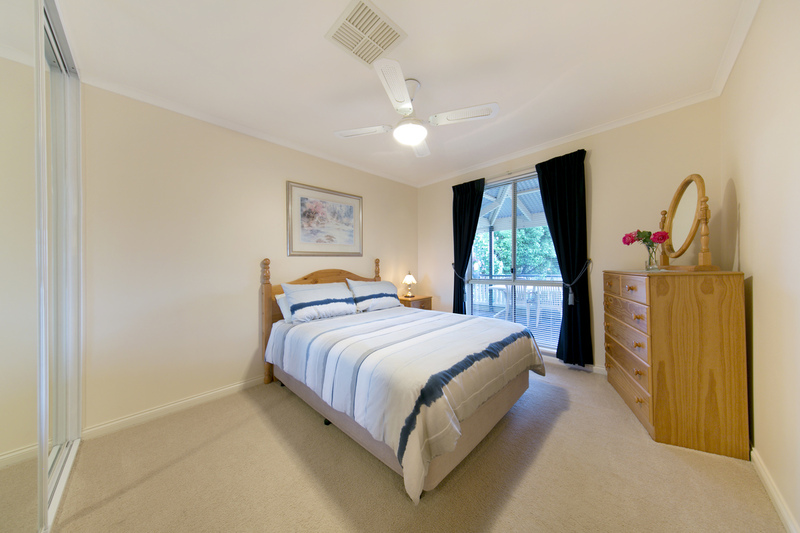 Bedrooms 2 and 3 are of double proportion and both offer ceiling fans and built-in robes. Bedroom 4, (currently a study), has built-in cupboards and book shelving. 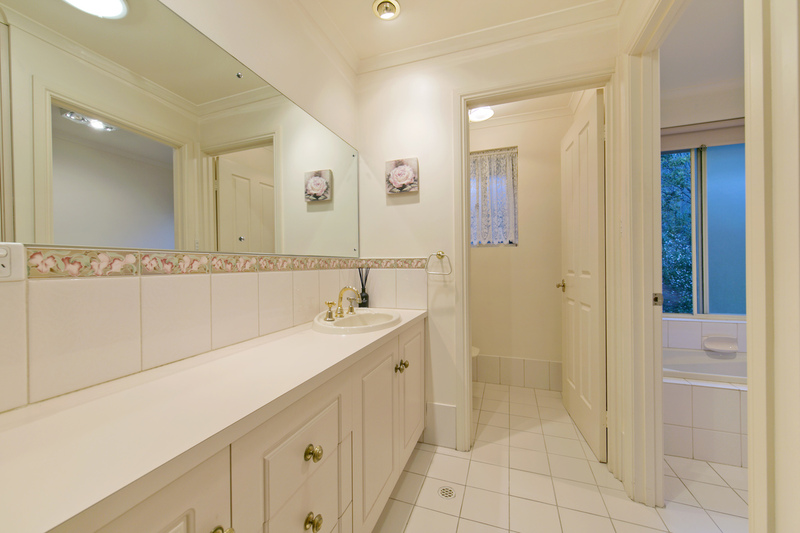 A clever 3 way bathroom complete with spa bath caters for residents and guests alike and a separate laundry offers additional storage cupboards and external access door. A large double garage with automatic roller doors plus a handy drive through rear roller door completes a tidy package. * New Panasonic air conditioner, October 2008, last service 23rd September 2015. 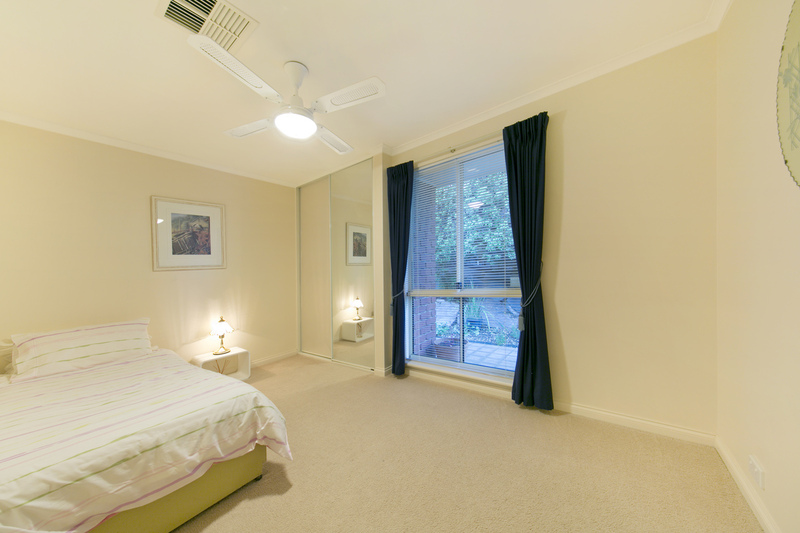 * New Security screens to front and family room sliding doors also bedroom 1 and kitchen windows. Various installation dates. * Solar panels on roof, July 2010. 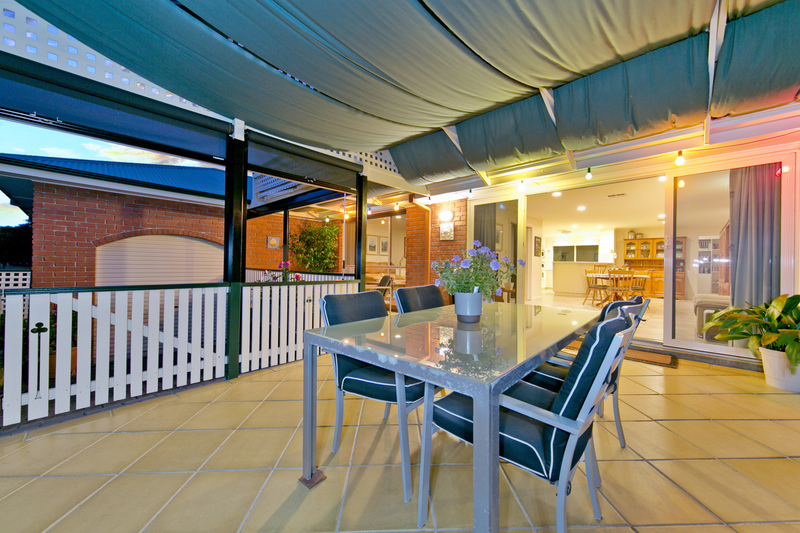 * Slide out awning (pleated blind) adjacent pergola, May 2008. * New Bosch gas hot water system w/- temperature controls, Sept. 2009. 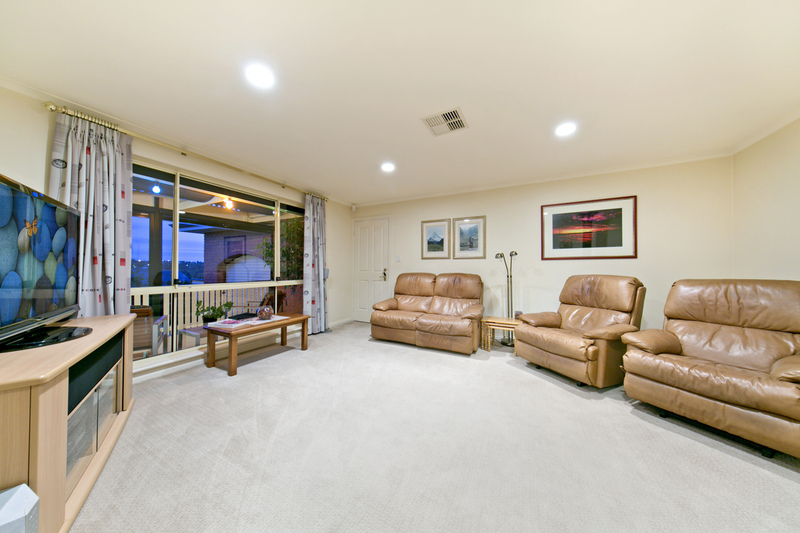 * Slidetrack blinds (10), October 2014 & October 2015. * New and extended paving under pergola, March 2008. * Automatic watering system, August 2004. * Two garage roller doors upgraded to auto, May 2004. * New Bosch gas hotplate, December 2004. 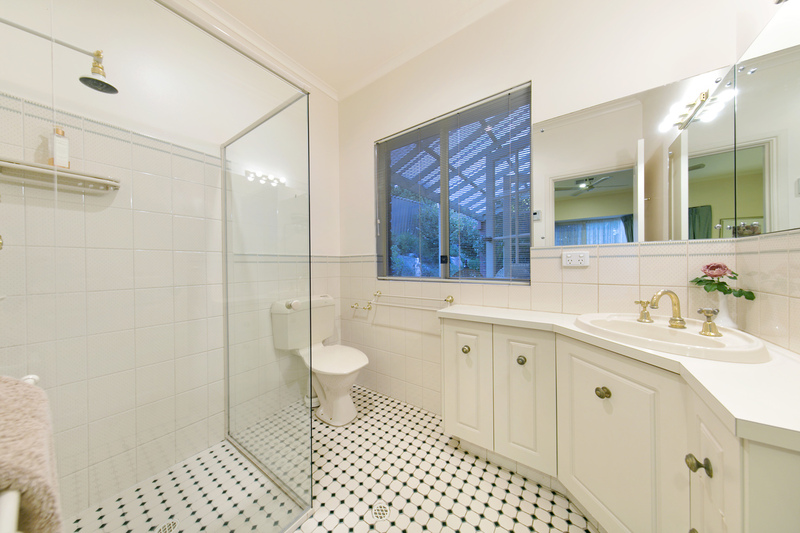 * New shower screens to main and ensuite, February 2010. * Pest control treatment, March 2010. * Gazebo drape material, January 2014. * Chimney swept/cleaned Autumn 2015. 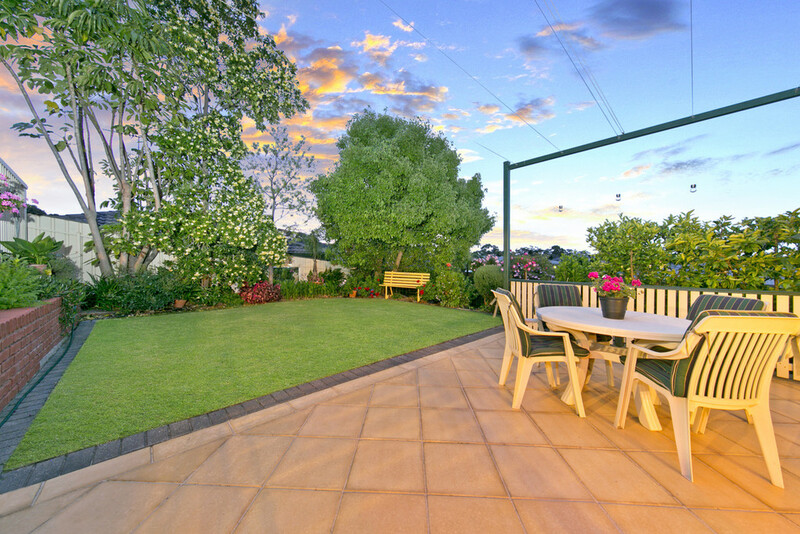 Located in the heart of Golden Grove in a quiet cul-de-sac amongst other similar homes. Local schools in the immediate area include Our Lady of Hope School, Pedare Junior School, Fairview Park Primary, Wynn Vale Primary, Pedare Christian College, Gleeson College, Golden Grove Primary and Golden Grove High School. 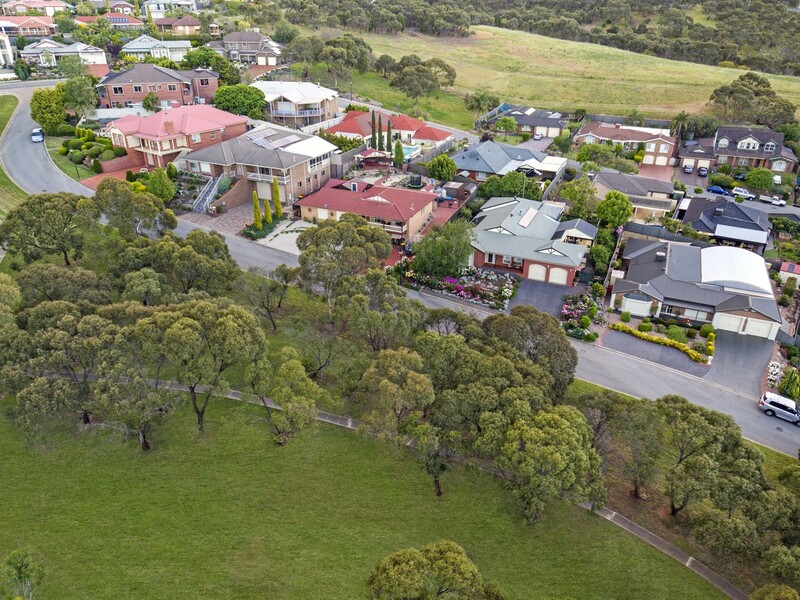 The Cobbler Creek Reserve is at your doorstep with The Goldenfields Playground and Reserve plus The Golden Grove Skate Park within easy walking distance, perfect for young teenagers. Local shopping is a pleasure at Golden Grove Village also a short walk away, with Tea Tree Plaza close by for your designer and speciality goods. 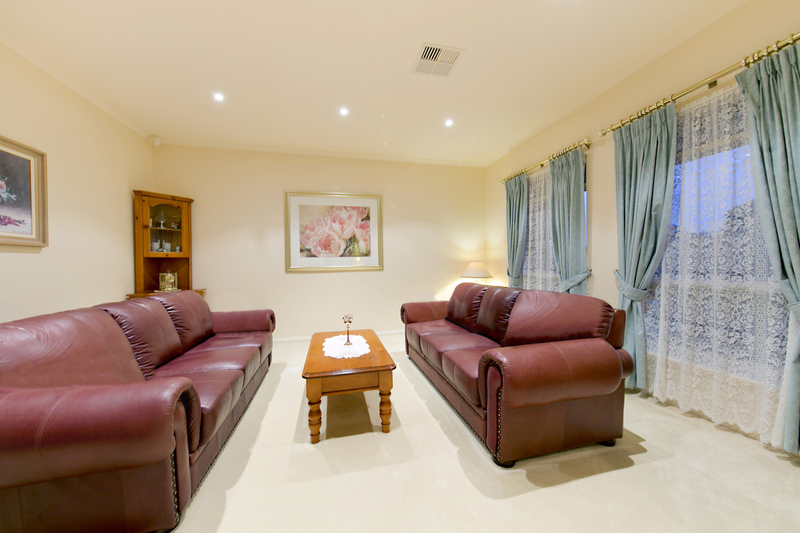 Public transport is at your doorstep on Atlantis Drive or catch the O-Bahn from Golden Grove Village to the city.